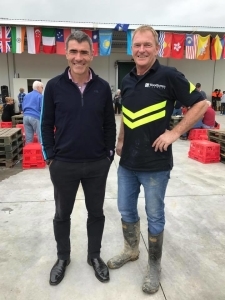 Horowhenua is abundant with a variety of producers and growers and we were proud to be part of the inaugural ‘Horowhenua Taste Trail’. The Taste Trail was established to showcase produce, speciality food and beverage products of the region by connecting consumers with their local producers, and growing the region’s reputation for food excellence. The trail offered a series of innovative experiences for people to connect with producers and uncover more about the food that’s produced in this bountiful region. 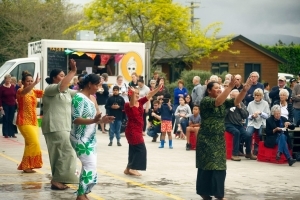 We hosted thousands on the farm throughout the day and cultural performances by our workers were one of the highlights. 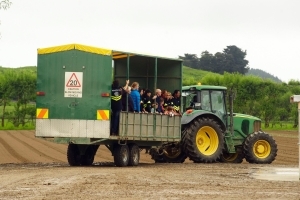 Visitors sampled fresh vegetables or dishes and children enjoyed tractor and trailer rides around the gardens. The event was a big success despite the suspect weather and co-ordinator and organiser Catherine Lewis said they were “blown away” by the enthusiasm and numbers of visitors. “We have had the most amazing feedback. Visitors have been amazed by local producers’ effort and commitment to producing such high-quality food. We are glad to have instilled pride in the community of the amazing place we live, the incredible people that live here, and the beautiful food and wine we produce,” she said. 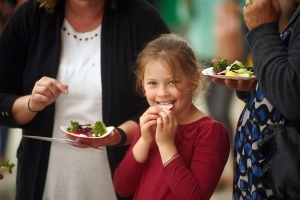 There are plans to grow the Horowhenua Taste Trail into an annual event and we can’t wait to be involved again in 2017! 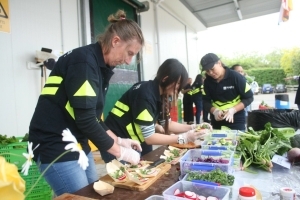 “This is just the beginning of recognising Horowhenua as a district of food excellence”. Local MP Nathan Guy enjoyed the festivities. © 2019 Woodhaven Gardens Limited. All rights reserved.